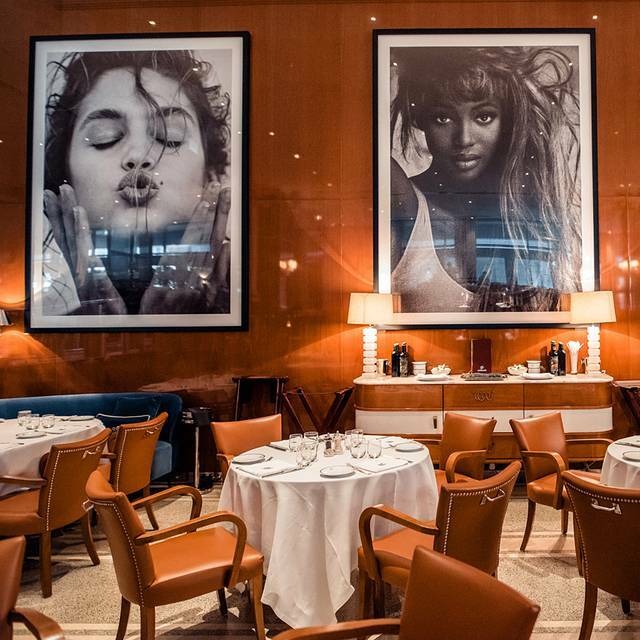 Cipriani Dubai is located in the heart of Dubai International Financial Center, Gate 10. 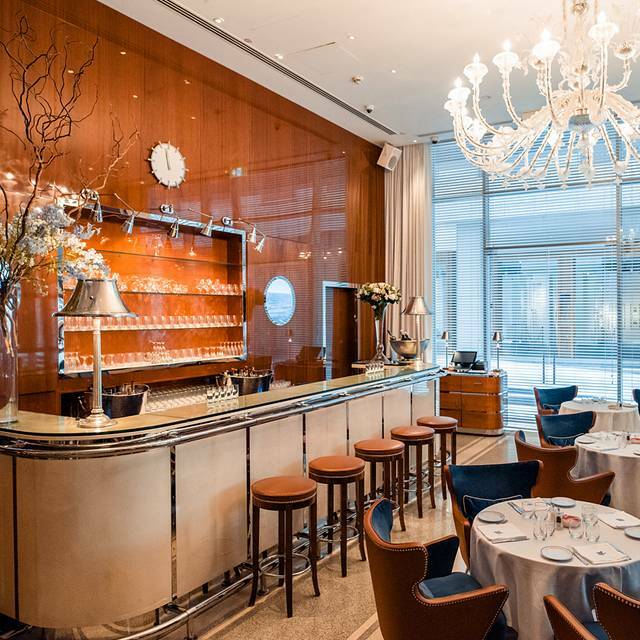 This fashionable restaurant is a striking introduction to the refined and warm interior, where rich mahogany walls, polished steel, mirrors and marble floors are complemented by Cipriani"s signature brown, leather chairs. The restaurant will be open 7 days a week serving lunch and dinner. 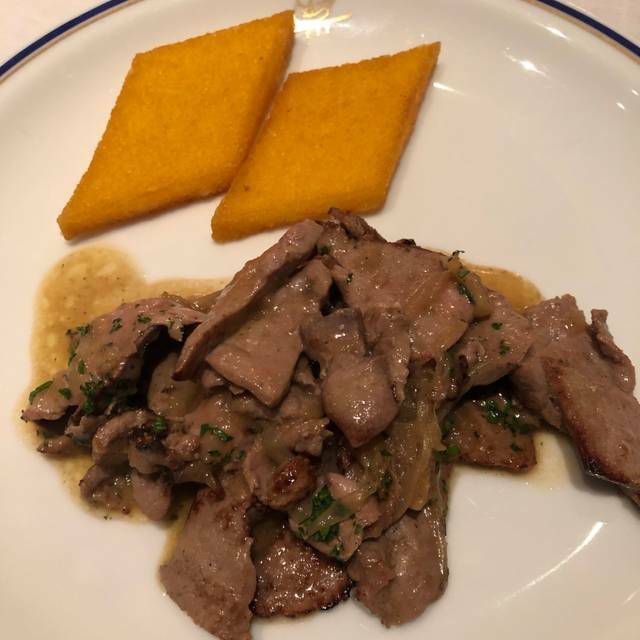 The menu features all the celebrated signature dishes and offers its patrons the warm welcome and the lively atmosphere that are Cipriani trademarks and have conquered the world over. Braised Artichokes Heart "alla Romana"
Risotto "al Nero di Seppia"
Fillet of Wagyu Beef Grade 8 "Tagliata"
Everything was perfect.Favourite restaurant in Dubai. 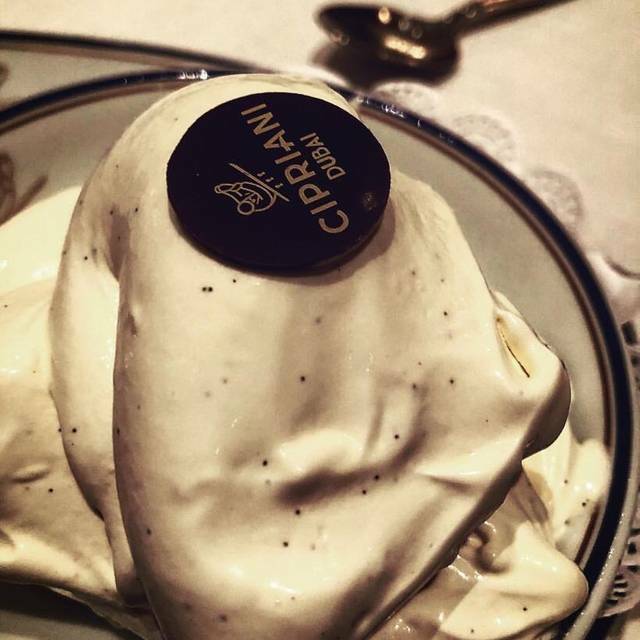 Cipriani is a place where everything is just perfect. Location, service, food, presentation and ambiance. Whether lunch or dinner, they always give you their best. I am a repeat/regular customer and they have given me no reason to go anywhere else when I want to enjoy the ultimate Italian cuisine experience. It was quite and cozy atmosphere. Love it. We come here every time we are in Dubai for at least one night and it is just great. Wonderful staff, delicious food, great wine. a MUST! Waiter didnt suggest anything. Didnt interact at all. Food: pizza was cold and tasteless. Pasta was FULL of oil and tasetles and cold. Restaurant tooo bright. Please separate the smoking area from non smoking. After I left my cloth was smelling like I came out of cigar bar. Still Italian classy ambience. Food ok-ish, price quality ratio extremely high. Service is good when waiter/tress is Italian. If not, the surrogate concept is going to confuse the client. We had an enjoyable Women’s Day dinner date but were surprised by two things: how bright the room was during the dinner service (less ambiance), and how much oil is used in the cooking. The food was good, as were the drinks, but there is no value proposition here with the small glasses and the prices on the menu. Overall a good experience for a special occasion, but no need to rush back. Unfortunately the food and service didn't live up to the restaurant's reputation. Both my husband and my dishes were overly salty and the service was too rushed. There was no time to digest between courses - it felt like they were trying to rush us. We live in Monaco and we also have Cipriani here , but there is no atmosphere at all. I prefer the Dubai one much more and the service is fantastic! Great food and excellent service , my invitees were pleased. Ristorante altissimo livello. Punto di riferimento per un pasto “all’italiana” a Dubai. Antipasti squisiti e primi piatti sublimi. Authentic menus but incredible tast. Definitely Best Italian restaurant in Dubai ! Perfect restaurant with amazing food! Little bit expensive, as all other expensive restaurants. The place for those who love to spend a lot of money on quality food. The decor is so elegant. Service is perfect and the food is consistently very good. Definitely this is the best Italian restaurant in Dubai! I repeatedly visit there but always am moved by delicious foods. 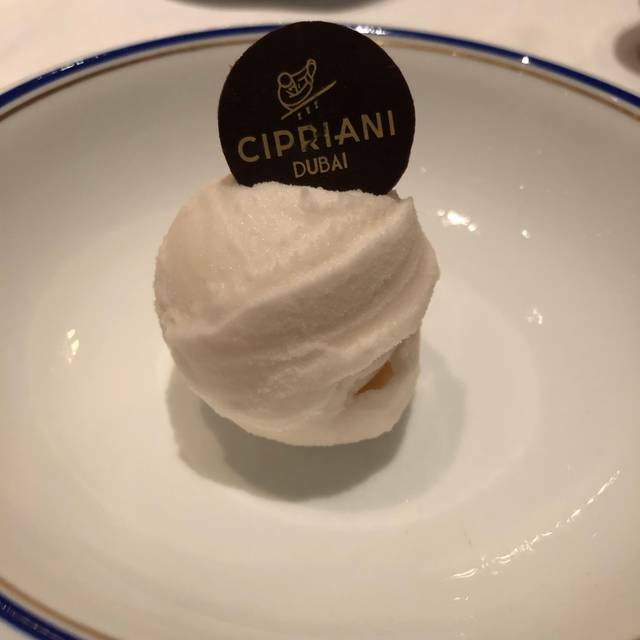 This was my first visit to Cipriani in Dubai, but not my first time to a Cipriani Restaurant. I was traveling for business and dining alone. I was seated in a corner and my service was definitely sub par compared to other locations I have visited around the world. It wasn't until my friend, celebrity chef, Tom Colicchio walked into the restaurant and greeted me, that I started to receive better service. The food was delicious, but the presentation looked rushed. All-in-all I was disappointed in my dining experience. However, I will always recommend a Cipriani Restaurant as go-to in other cities around the world. By the way, I live in New York and a regular at Cipriani. Very good italian food in a nice a cosy atmosphere. Really enjoyed my time and lunch there. 4 people of 7 got sick plus the service was terrible and they just tried to sell more than was needed for the group. The Ministry was contacted. The service was on point! Went there with my mom, we liked all the foods but the white truffle pasta was a bit over cooked and too buttery/ creamy in our opinion. Every thing was great but, The smell of the restaurant was smoke of cigarette at most. A bit disappointed by the food. Nothing special and a bit too fat for my liking. I was expecting more interesting and elaborate dishes. It was a fair experience not the one I imagined. Food was overall good service was great but again I don’t think I will visit it again especially that the price was really high for most of the menu items and you would expect to get a taste with what you will pay but sadly you won’t get it unless you really like tasteless food. A brilliant experience with exceptional service. The food quality was superb, we both left raving about the quality of the food! We also loved the fact there is a sofa in the lift, how cool is that! We will most definitely return.